Today’s installment of Sightsee the Tarot will walk you through the choreography of a five-minute party reading and some incredible tips on choreographing party readings, straight from one of the most renowned tarot professionals in the country, Jenna Matlin. But even if you’re not interested in being a pro reader, mastering the five-minute party reading is a great skill to have. Since footage for this video was filmed after 10 pm, I didn’t have any human bodies to be my extras. =) Hence, our little stuffed friend Q-Ball is the stand-in. I wrote up a quick book review of Have Tarot, Will Party here if you want to learn more about the book. Post-edit, I realized I didn’t cover everything I wanted to cover (and certainly nowhere close to covering all the juicy bits in Matlin’s book! ), so this companion blog post is my personal add-on to the video. Have Tarot Will Party by Jenna Matlin is an easy-to-read, accessible orientation to the business of tarot reading. 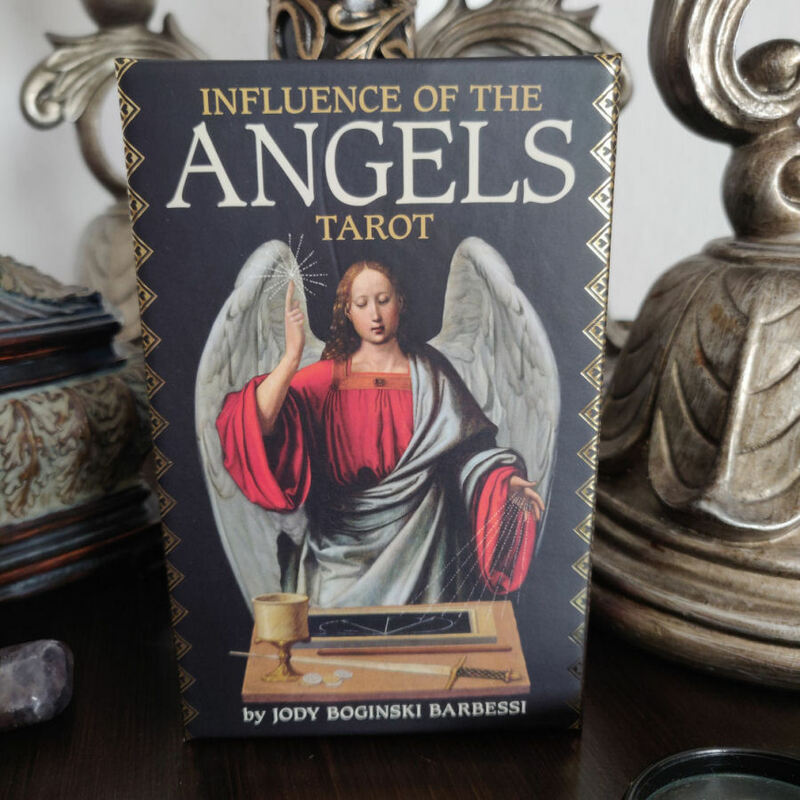 Reading this book is like having your own personal tarot business mentor, giving you solid guidance every step of your way. Matlin shares how she got started as a professional tarot reader, working festivals, doing the brick and mortar, and her incredible journey all the way to the top of the field. Today, most tarot businesses have gone online (and stay online), and even most tarot business coaching programs focus on e-commerce. There’s an entire segment of business and professional opportunities open to you in your locale, which you might be ignoring! Jenna Matlin teaches you how to tap in to those local markets, and how to truly make a name for yourself in your region. If you’ve been meaning to add party readings to your professional work as a reader, but aren’t sure how to get started on that, then Have Tarot, Will Party is the book for you. How do you keep from making rookie mistakes? Matlin gives you all the insider tips and industry secrets that no one else will. How do you get booked for readings? How do you develop your local or regional platform so that you get booked consistently for party readings? In today’s installment of Sightsee the Tarot, we’ll be exploring Mary K. Greer’s Tarot for Your Self: A Workbook for Personal Transformation and working through journaling prompts to self-reflect on our relationship with money and what we aspire for in terms of prosperity. We’ll then work through my reinterpretation of Greer’s Prosperity Mandala for an integrated approach to tarot journaling, self-reflection, and intense divinatory work. For six days after casting your Prosperity Mandala, you’ll revisit it daily and when you sit with the tarot mandala, you’ll receive additional insights, new ideas, come up with solutions to problems that have been hindering your progress, work through productive brainstorming about your personal financial situation, and positively shift yourself toward greater prosperity. July 19 – 21, 2019 will be the Masters of the Tarot conference held at the Omega Institute in Rhineback, New York. The Masters of the Tarot conference is an annual tradition started by Mary K. Greer and Rachel Pollack. 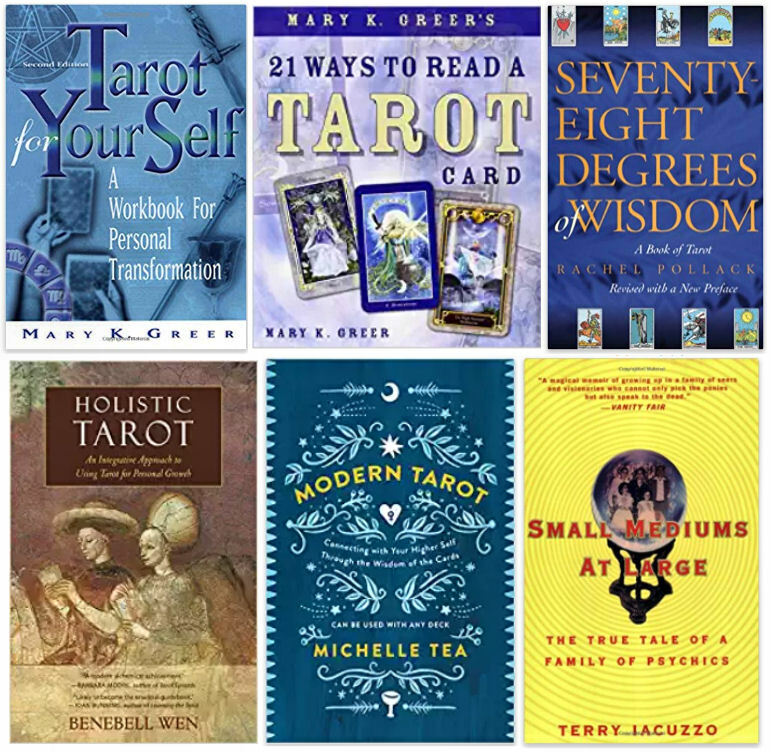 This 2019, the master teachers featured at the event will be Mary and Rachel, Michelle Tea, author of Modern Tarot and many other works of fiction and creative nonfiction, and the renowned psychic Terry Iacuzzo, author of Small Mediums at Large. Oh. And also, me. Also, you’re going to be learning innovative and profound insights into the tarot from living legends: Mary K. Greer and Rachel Pollack. Michelle Tea is a prolific author who has published numerous memoirs and novels. One of her books, How to Grow Up (Penguin/Plume), is currently in development with Amazon Studios. Tea is the curator of the Amethyst Editions imprint at Feminist Press. Her writing has appeared in Harper’s, Cosmopolitan, Marie Clare, xoJane, and BuzzFeed, among others. Terry Iacuzzo is a New York City based psychic and regular contributor to CosmoGirl and Seventeen. Way before there was Theresa Caputo of Long Island Medium, there was Terry Iacuzzo, a Sicilian-American psychic medium who came in to this world one Halloween in 1948. Read this fascinating Q&A about being a psychic and coming from a psychic family, featured in the New York Magazine back in 2014. The tuition for the event is $465, which covers workshops by all the master teachers, all panels, breakfast, lunch, and dinner at the Omega Dining Hall from Friday, July 19 to Sunday, July 21, and daily open classes in meditation, yoga, tai chi, and more. Tarot, Astrology, and the Four Seasons. Reference diagram from Tarot of the Bohemians (Papus). Click to download high-res image file. 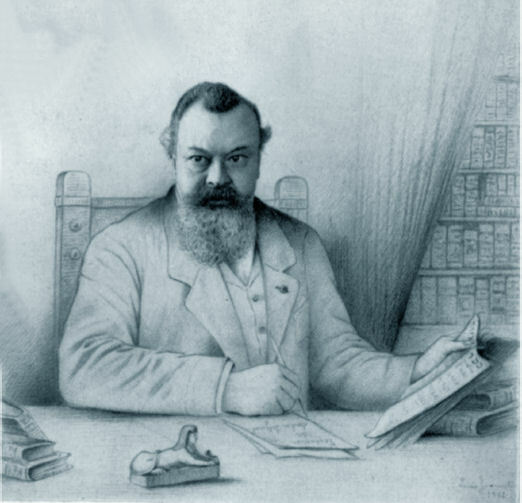 This is a two-part installment of Sightsee the Tarot as we take a tour of Tarot of the Bohemians by Papus, the pseudonym of Gérard Encausse, a French physician and occultist. Part 1 is lecture only, summarizing the entirety of the text, Tarot of the Bohemians. Part 2 is a hands-on guided workshop of a reading method taught by Papus. You don’t have to watch Part 1 (lecture only) to work through Part 2 (guided tarot reading method). The two parts can be standalone videos that you watch without the other. 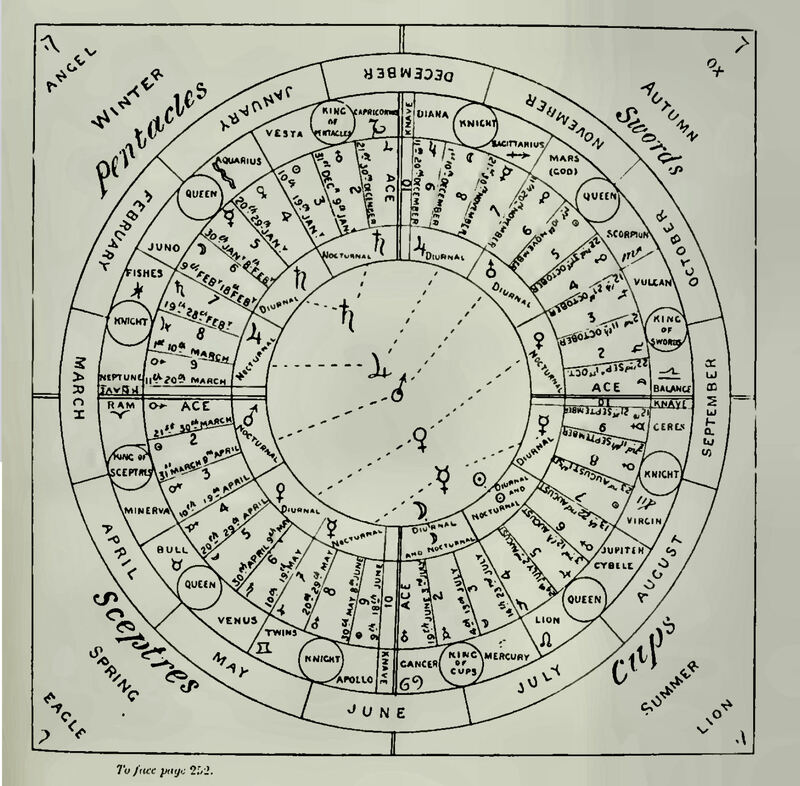 So if you just want to try out the late 19th century reading spread instructed by Papus and don’t much care for an audio-visual summary of Tarot of the Bohemians, then skip Part 1 and go straight to Part 2. If you’re just here for the audio-visual summary of Bohemians but aren’t in the mood to do a tarot reading right now, then just watch Part 1. Over the years I’ve received numerous requests to do a day-in-my-life walk-through and I’ve finally gotten around to doing it, in blog form. =) This will be a typical weekday in my life. At some point in the near future I’ll post a sequel: a weekend in my life. I wake up before sunrise, and so what you see above is what I typically see when I head downstairs to the kitchen to make myself a pot of coffee, especially through the winter months. As I walk down the stairs and while the coffee brews, I’m mapping out my morning. What needs to get done in the next three to four hours? Where did I leave off on each of those projects I’m about to dive in to? My breakfast this morning is sauteed bitter melon (just a little bit of animal fat, no seasoning) and fresh blueberries. I don’t eat this for yummy reasons. I eat this for medicine reasons. While I’m prepping, I’m checking work e-mails, drafting and scheduling blog posts, outlining talking points for videos, or if I’m in the middle of writing a book at that time, then my laptop is open on the kitchen table and I’m writing while I’m cooking. To be clear, modern medicine wins over homeopathic, folksy, holistic anecdotal home remedies every time for me, and if I get diagnosed with something, I’m going to go with the prescription pills. But on the regular, in terms of preventative care, I’m a huge proponent for considering the medical and health benefits of food. I very much follow Traditional Chinese Medicine (TCM) for my diet and cooking. So almost everything I eat has a TCM purpose to it. 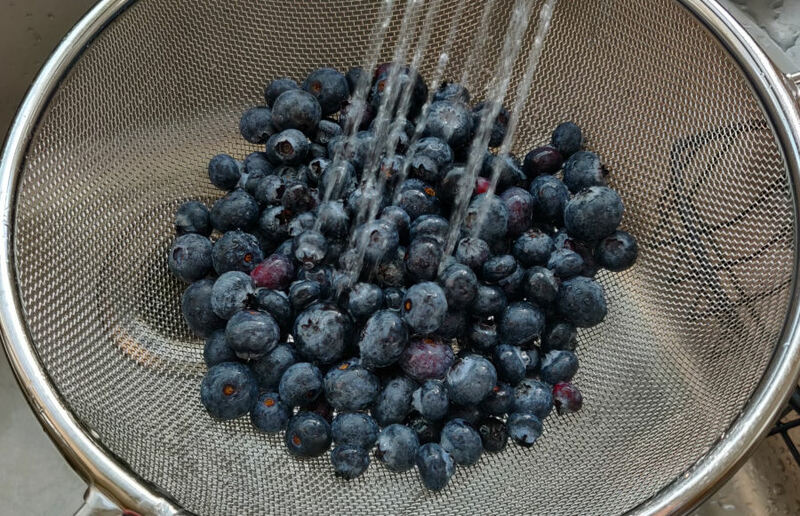 Herbology isn’t just having shelves full of pretty glass jars filled with exotic herbs. It’s something I implement into daily cooking. Most mornings, I get to watch the sunrise. My home office window looks out directly east (something intentional, which I looked for when house hunting), so I can sip my coffee, do stretches, a morning meditation, or a morning ritual facing eastward and actually get to catch a glimpse of the rising sun. 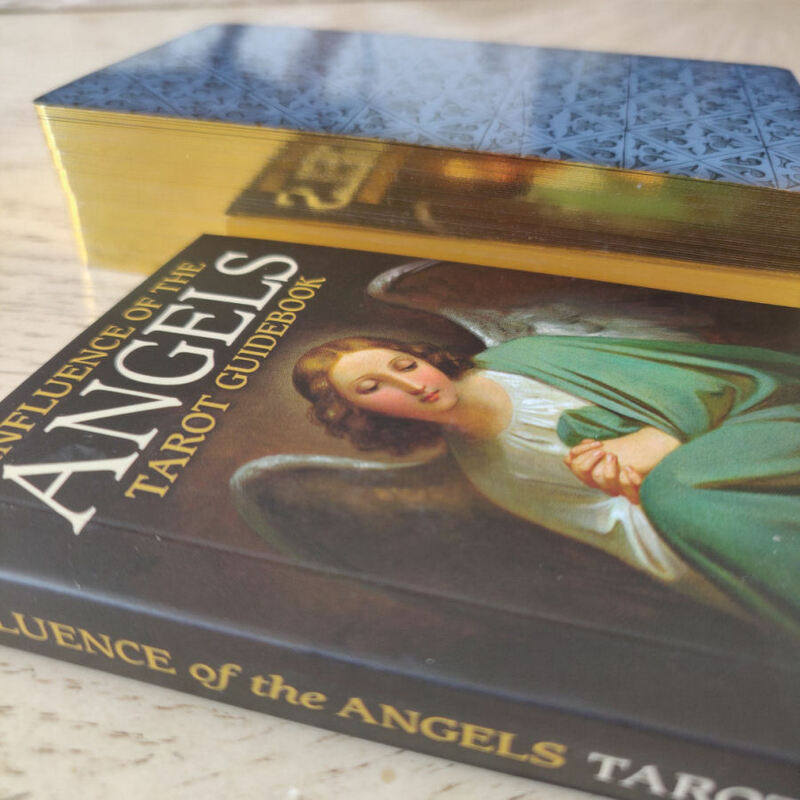 Influence of the Angels is one of the most exquisite angel tarot decks. Although the artwork is digital collage, it doesn’t feel like it at all. Classic paintings of antiquity are expertly modified into the tarot architecture and bring to life the Christian perspective of angels. The technical work here is flawless. Angeles, notes Barbessi, are celestial messengers between God and humankind. In Influence of the Angels, the Major Arcana feature named angels while the Minor Arcana feature nameless ones. I love that the deck comes with a meaty 184-page guidebook that delves in to the chosen symbolism on the cards, angelic messages, and presents this deck as a comprehensive beginner’s deck where you can begin working with the cards right out of the box. The back of the book provides two spreads tailored for the deck that anyone, beginner-level to seasoned reader can use. After going back in time, first to the 1970s with Eden Gray and then even further back to the late 1800s with MacGregor Mathers, we now return to present day and explore a powerful journaling exercise and reading spread designed by tarot life coach Jaymi Elford, featured in her new 2019 book, Tarot Inspired Life. Before you hit play, please be advised that this session may not be suitable for everyone. We are going to relive a painful past memory and journal through it. Thus, some individuals may not be ready for this guided exercise. For those who feel prepared to proceed, we are going to rewrite the ending of that painful memory, one in which we take control. Then with the magic and alchemy of the tarot, rewrite the ending, which will release us of that memory’s hold over us. No longer beholden to the pain, we heal that one inner soul fragment that had been caused by the painful memory. This journaling session will include brief guided recitations of affirmations that incorporate sound healing and may start to feel a tad New Agey to those who shirk from the New Age. Just grin and bear with me. After this journaling session, I strongly recommend that you follow it with personal energy after-care and watch the following healing meditation video. Even if sitting through the energy healing video feels silly and too New Agey for you, just humor me. I would much rather you conclude this session feeling like a goofball than feeling drained or depressed. If you work as a life coach or spiritual consultant, then please feel free to use the script in any way you like, modify it so it better fits your own style, and yes, you’re totally free to integrate it into your client services. I dedicated the audio and the text for the shielding recitation to the public domain, which means even though I created and wrote it, it’s no longer mine. I’ve given all proprietary rights to the collective. You can do as you will with it, modify it, make your own derivatives, and even use it within the scope of your professional or commercial work. The recitation of affirmations and then the inclusion of sound healing, plus the recommended energy after-care are based on the instructions and guidance of Elford in her book. When guiding a client through such emotionally intense work with the tarot or when you’re working through such emotionally-charged prompts yourself, Elford recommends incorporation of affirmations or modalities of self-care, which is why I included them in the guided workshop. With the psychic protection shielding recitation in the public domain, you can use it or modify it to create your own version freely and incorporate it into your professional tarot or life coaching work. The approach to tarot we worked with here is life coaching. How do you use the tarot in the scope of modern day life coaching? Tarot Inspired Life covers so much ground that if you’re a professional life coach who also happens to be a tarot reader, Elford is going to offer you so many incredible and practical techniques for integrating the two and helping your clients. Today’s journaling and reading exercise is practiced on yourself, but once the operational steps are mastered, the techniques can be worked into professional life coaching or tarot counseling sessions. The life coach/tarot counselor would walk through the basic card meanings and reading interpretation with the client and help the client in choosing the right card for rewriting the memory. This episode walked you through one way a life coach can use the cards in a one-hour client session to help them reconcile a past event that’s still bothering the client, and keeping him or her from moving forward. Yet Tarot Inspired Life has so much more to offer. This was just one of numerous power-packed exercises and journaling prompts from Elford’s book. If your client is an aspiring writer, there’s an entire section in Tarot Inspired Life on how to use the tarot to get through common writing blocks and challenges, from using the tarot to outline your plot, profile your characters, or offer creative advice. There are insights into basic meditation techniques with the tarot and using tarot in easy-to-follow personal rituals for transformation. If you’re interested in acquiring your own copy of Tarot Inspired Life, check out my book review, here. Order your copy here via Amazon.com. Shall we try it out for ourselves? The Worksheet includes a final Review section for you to return to the reading later in time and give yourself feedback on whether your predictions came true or whether you may have misinterpreted some of the cards and how they actually came to fruition. In the video tutorial, we are reading the First Horseshoe as the Past, Second Horseshoe as the Present, and Third Horseshoe as the Future. However, there is an alternative way to read these the three sets, and that’s noted in the above-linked Worksheet. You can also opt to read the First Horseshoe as revealing of the Self, of the personality or character in question. The Second Horseshoe reveals the environment, the plot points and situation the querent is in. The Third Horseshoe can be read as the path forward, i.e., the future, or one’s spiritual path, or some combination of the two indications. In the selected passages of Mathers’ instruction on the reading method, he doesn’t get into any details about what each of the three Horseshoes indicate. However, I inferred the trinity and Septenary correspondences contextually, based on the preceding content in his book. A fun way to take this reading method out on a test drive is with a Tarot de Marseille deck and, following the instructions in The Tarot, read with reversals. If you’re not familiar with the Marseille system at all, that’s even better, because the most entertaining way to do this is to force yourself to work off the card meanings given in the Mathers text, which you can download as a supplemental handout. In the above handout, I’ve rearranged the ordering of the card meanings. For the original order Mathers put the cards in, check out the subsequent download of The Tarot (1888). In the above PDF, I arranged it in the order that the majority of modern tarot readers are going to be used to seeing the cards. In a few places, I’ve also edited the text when the original phrasing by Mathers has become obsolete, so I included modern equivalents.